The weather in New York this weekend was not too appealing. It rained both days and left me wanting to just stay inside and enjoy the comforts of the indoors. 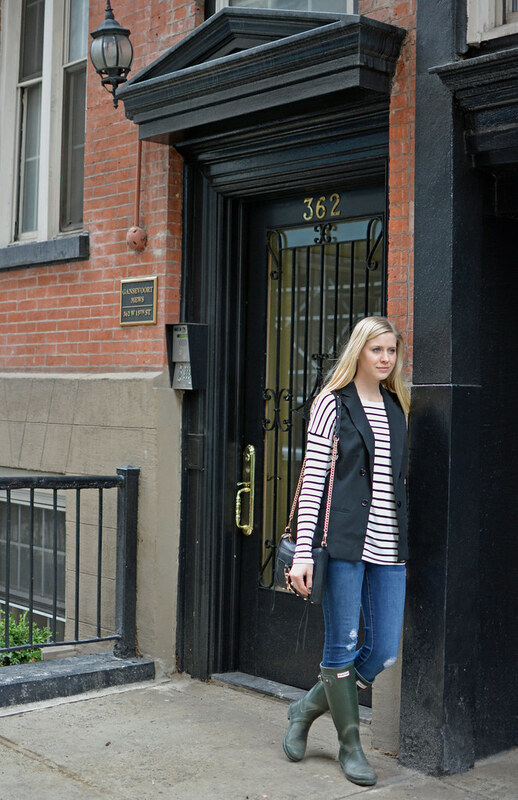 When I did venture outside on Sunday, I chose to keep it simple and wear my favorite striped shirt and jeans and added this vest to add some structure. I have been adding this vest on top of a lot outfits lately as it easily pulls together the outfit and makes it look more polished.